Adam Sanchez and Jesse Hagopian are editors of Rethinking Schools magazine. Sanchez teaches at Harvest Collegiate High School in New York City, and works as curriculum writer and organizer with the Zinn Education Project. 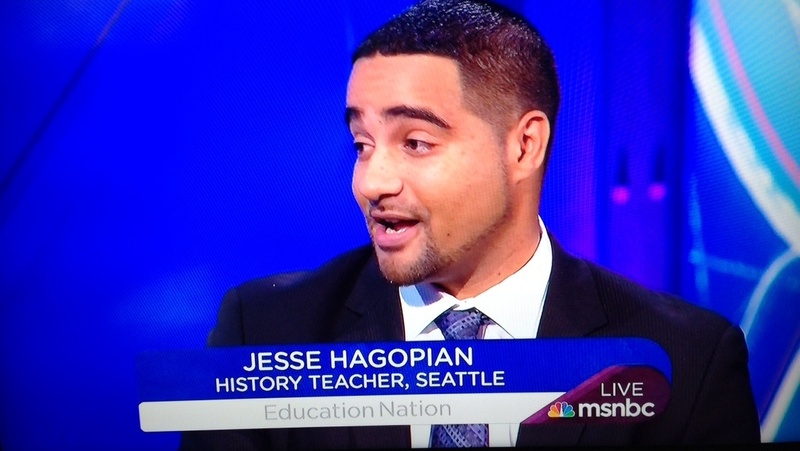 Hagopian teaches at Garfield High School in Seattle, and is the editor of More Than a Score: The New Uprising Against High-Stakes Testing (Haymarket Books, 2014). Editor’s note: The mixer role play will be posted on the Zinn Education Project later this school year.